Published in The Spinoff on April 24, 2017. Earlier this month, the current affairs show Sunday aired a segment called The Price of Milk. It outraged a lot of people, especially in the farming community, and for days after the show’s Facebook page was swarming. If you didn’t catch it, a lot of the shock was around the treatment of animals and the environment – building on the last few years of negative sentiment. It felt like a jolt. My family have lived on the same piece of rolling land in the Waikato for four generations. I went to school with our neighbour, my dad with his dad and my nana with his grandma. My great grandfather settled there just after WW1 along with his brother. Work took grit and guts and everything was a community effort, because it had to be. The real farmer I know is different to the one you see in advertising, or in the news. She or he is irrepressible, clever, creative, resilient and looks to tomorrow. There are good farmers out there making a difference. I know firsthand that many farmers love their land and their animals. It’s hard not to when your life is the farm and the farm, yours – even if only for a short while. You can’t help but be connected to the land. We’re lucky that in our little district most farms are still owned by families, but I think we’re standing on the precipice of change. There aren’t a lot from my generation who have made farming their future. The dairy industry is not set up to support medium-sized businesses like ours any more. In response to market demands over the past couple of decades there’s been an increased emphasis, by the agriculture industry and government, on intensive, industrial-style, corporate dairy, in an effort to increase production. It’s the government’s goal to double the value of primary sector exports by 2025. With dairy being the biggest contributor to the sector, growth will need to come mostly from dairy. It won’t be done by adding value alone – volume will need to increase. Then there’s the increasing downward pressure on prices from consumers upset about the price of cheese. As with anything, when the pressure comes on some things will have to give and shortcuts will need to be made. 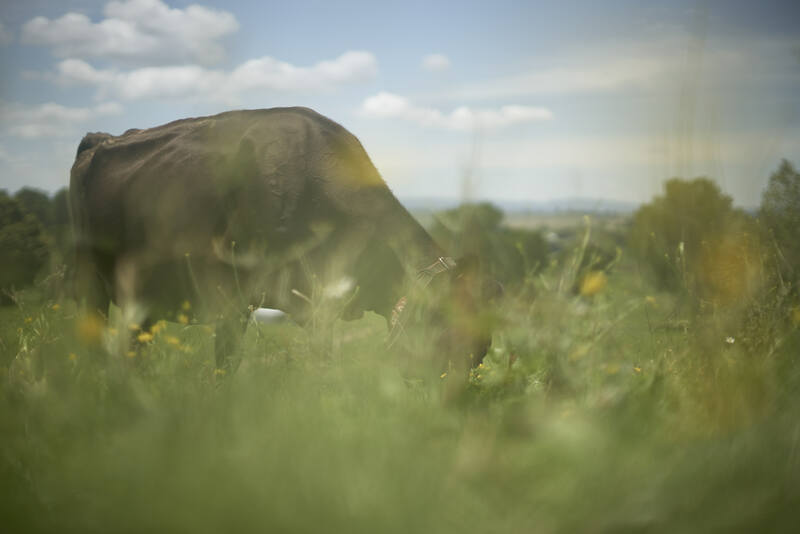 A lot of recent dairying development has occurred on land that’s not naturally fertile – farms that have been converted from sheep, beef and forestry blocks. The land is steep, dry and requires a lot of fertiliser and water irrigation from nearby rivers and springs. The soil is porous, which means it doesn’t hold nutrients well. Nitrates can easily pass through and into springs and waterways. With this style of farming, everything about it is big. The farms are big, the cash required is big, the supplementary feed is big, the stocking rates are big, the production, big. But, all of this comes at a cost to the land, the animals and the people. There’s been a counter-movement globally and people are becoming aware that their food system is broken. The industrial method isn’t sustainable. New Zealand is a small cluster of islands, known for the catchphrase we love to band about: clean and green. 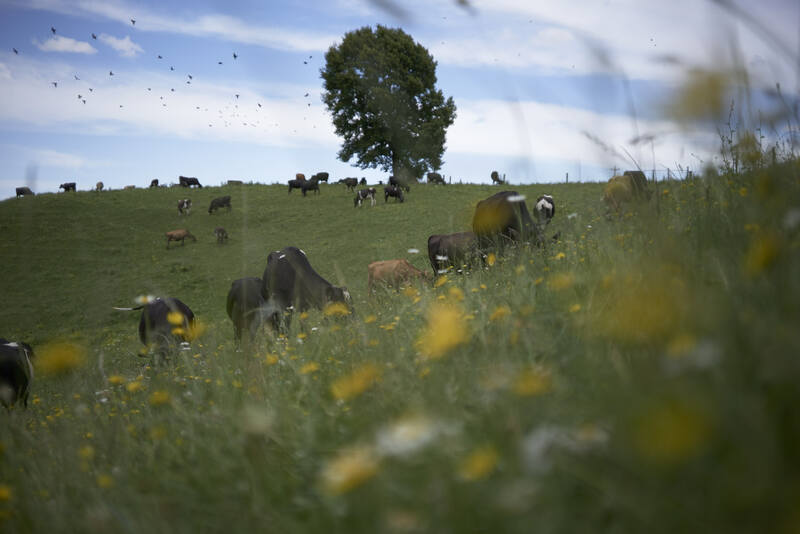 We should be making it easy for New Zealand farmers to produce quality, grass-fed milk that fetches a high price for all the hard work farmers put in. It’s not only our heritage as a nation, it’s our competitive advantage. Today, our own farm is certified organic and uses robotic technology, but we choose to farm using a ‘best tools for the job’ approach. Solutions can come from anywhere and it’s crucial to keep an open mind for new ideas to try and tinker with. There’s never been a more important time to apply our creativity to solve the problems that face our environment, our communities and our economy. Dairying needs the best of us and we need smart New Zealanders from all backgrounds to get in and be heard. Our waterways and wetlands have become a key election issue. When you take a look at the science, it’s not hard to see why New Zealanders are concerned about our waterways and the impact dairying in particular has had on them. As the March 2017 OECD environmental performance report puts it, “New Zealand’s growth model (based on the exports of primary products), however, has started to show its environmental limits, with GHG emissions, freshwater contamination and threats to biodiversity.” As New Zealanders, our relationship with the land runs deep. No matter what side of the political spectrum you’re on, it’s part of our cultural DNA to protect and defend it. At all costs. Today most dairy farmers have fenced off their waterways from stock. But there’s even more value in extending these areas and restoring the wetland core and riparian areas – getting them acting like ‘kidneys’ again. On our farm, over the past few years we’ve worked with partners to restore approximately seven hectares of streams and springs back into native wetland. The early weeks of the new year saw us carrying out earthworks to create two wetland treatment weirs. Weirs are like sieves, helping to reduce the amount of impurities that leave the farm. Monitoring the difference in water quality is simple, with a yearly sample that gets sent to a laboratory. Planting the marginal land doesn’t just help with biodiversity, it helps with economic diversity, by creating the perfect environment for bees. 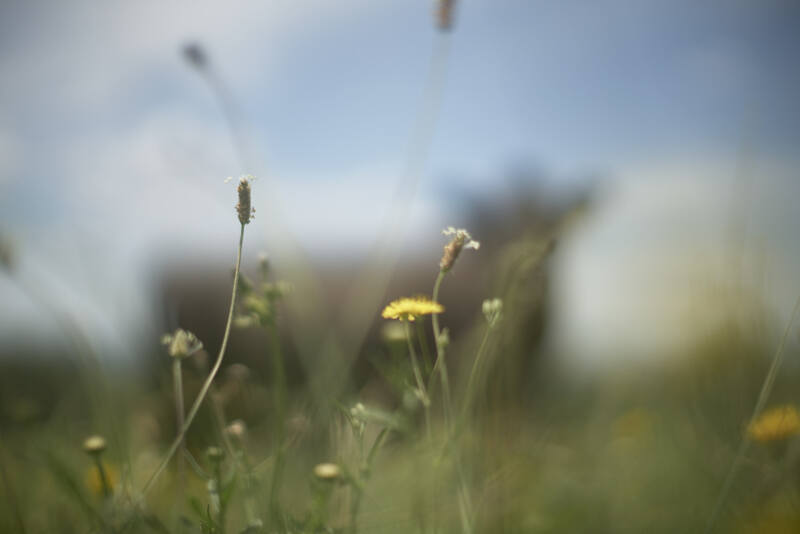 Over time, Mum and Dad have developed an organic, polyculture pasture that’s suited to our land. This pasture has colour, depth, texture and is constantly changing. After all, dairy farming for a long time has been about the pasture. 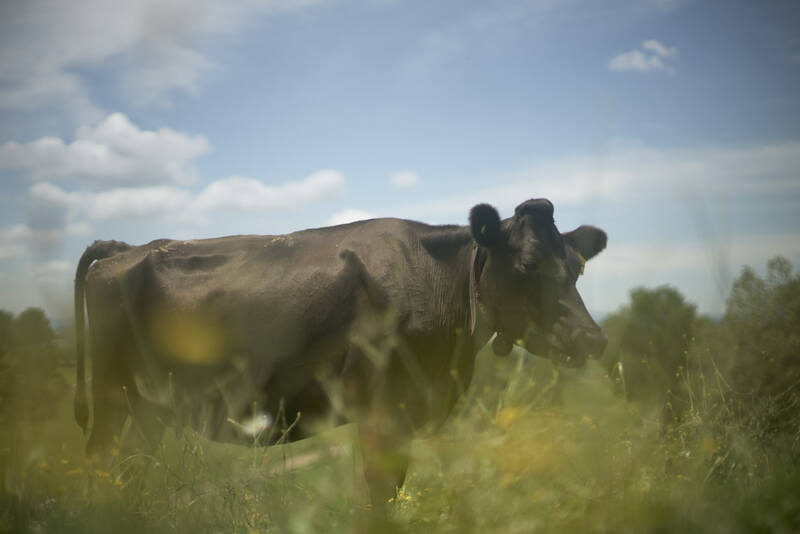 A diverse pasture benefits cow health and milk production, improves the soil and decreases nitrate leaching – which improves water quality, as plants with deeper roots capture more carbon and nitrogen. Because we farm organically, we don’t add nitrogen fertiliser. It’s taken 34 years for Mum and Dad to get the farm to where it is today. Just about every day of the year they’re still out there, working as hard as they were in their twenties to make the farm as good as it can be. Some days are so hard, you can’t see beyond today. But for dairy farming to be good for all of us, we need good farmers who have their eyes on tomorrow and acknowledge their place as a brief custodian. Corporate dairy is consumed with the profit and loss of today. Good farmers have their eye on the economics, but also on doing right by the community and the environment. We need to take care of this land, because we don’t leave after the work’s done – it’s home. This land is everything. On Sunday, I watched a hawk swoop in and out of some trees we’d planted. Our pockets were heavy and lumpy with hundreds of manuka seeds from the morning’s collection. After a chat around the table over some tea, we decided to start raising our own plants to create hedges. A pasture pest called yellow bristle grass has recently become a big risk and after talking to a scientist, it seems like an idea worth trying out.